Mobile marketing has been increasing in popularity since the rise of the smartphone. 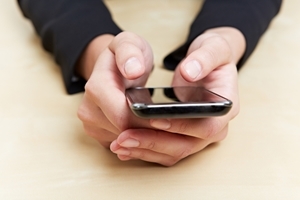 Any small business can benefit from implementing a mobile market campaign. This can be particularly beneficial because it allows a business to be flexible with its marketing strategies. Any well-built marketing campaign can increase profits for a small business, get more customers in the door and help retain customers. When changes are on the horizon, a mobile marketing campaign allows a small business to be swift with updating promotions, giving them an edge over the competition. However, as much of the business world is shifting toward the Internet, there is still a need for storing hard copies of documents. Any small-business owner looking to ensure documents are safe should look into a reputable self storage facility. As the world grows digital, many are turning to online storage for their documents. However, it's always a good idea to have physical backups. Jiffy Self Storage is a leader in Toronto storage and can provide plenty of space for important files and other items. Those interested in learning more should visit Jiffy's website, where they can enter to win a free iPad 3.